Years ago, when a tooth had to receive major restorations or to be completely replaced, the only way to do so was by using materials that had a metal base. Fortunately, it is now possible to provide our patients facing serious dental problems with high quality, long-term solutions that do not compromise on aesthetics. Non-metal crowns and bridges are efficient, long-lasting ways to tackle severe tooth damage without threatening the authenticity of one’s natural smile. 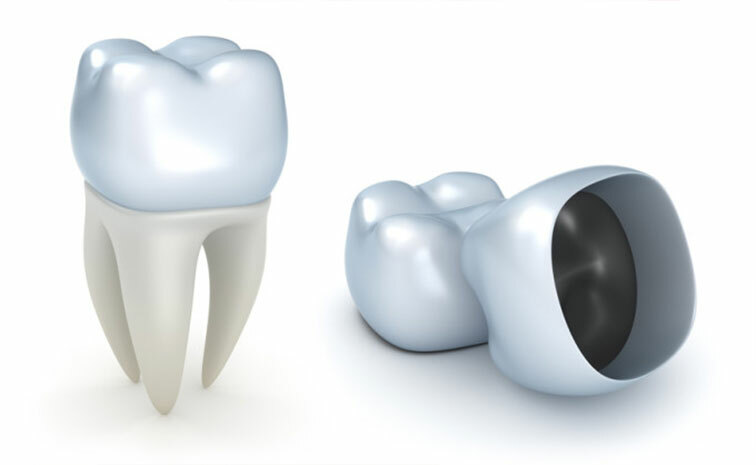 A non-metal crown can be used when a patient has one single tooth in need of important restorations. Instead of removing it or using techniques that involve the support of surrounding teeth, the dentist will work in collaboration with a dental laboratory that will make a single crown, also known as a “cap”. This crown will restore the natural tooth’s shape and appearance. A bridge is different from a crown simply because its function is to completely replace a missing tooth by using the support of adjacent teeth. The first step to putting a crown into place is to give the patient a local anaesthetic, file down the tooth which needs to be restored and protect it with a temporary crown. Once the tooth is filed down, the dentist uses the latest technology available to send digital impressions of the patient’s mouth to a laboratory so that the prosthesis to be added to the prepared tooth can be tailor-made. A second appointment then allows the dentist to cement the crown into place. The procedure for a non-metal bridge is quite similar although the affected tooth has to be completely replaced instead of being restored: therefore, the dentist simply prepares the adjacent teeth so that the artificial tooth produced at the dental laboratory can be splinted to them.